The mission of Children’s Scholarship Fund New York (CSF New York) is to increase educational opportunity by offering partial tuition assistance for children in low-income families. CSF New York was launched in 1998 as part of the Children’s Scholarship Fund (CSF), a national organization that was founded by Ted Forstmann and John Walton. Since its founding, CSF has provided scholarships for more than 158,000 children nationwide, including 29,000 children in New York. 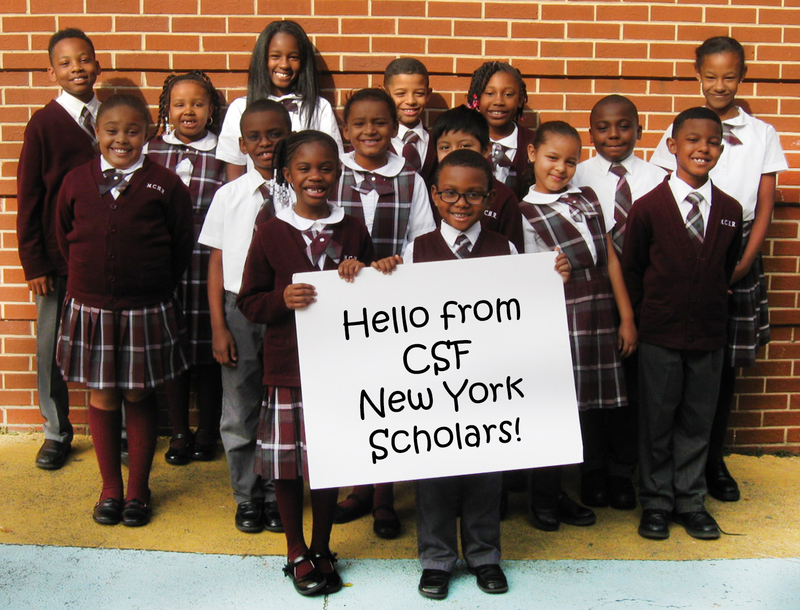 Currently, CSF New York provides scholarships for more than 7,500 students in the five boroughs of New York City and several counties north of the city. The average scholarship amount is $2,023 and the average private school tuition is $4,214. A recent study showed that 95 percent of CSF New York Scholars graduated from high school on time, and 89 percent indicated they planned to enroll in college. Donate to CSF New York. How to apply for scholarships.